Budco carries the Semacon line of currency counters. Semacon currency counters are reliable and are backed by excellent manufacturer support. Whether you need a currency counting machine for light, medium or heavy duty, you can rely on a Semacon. 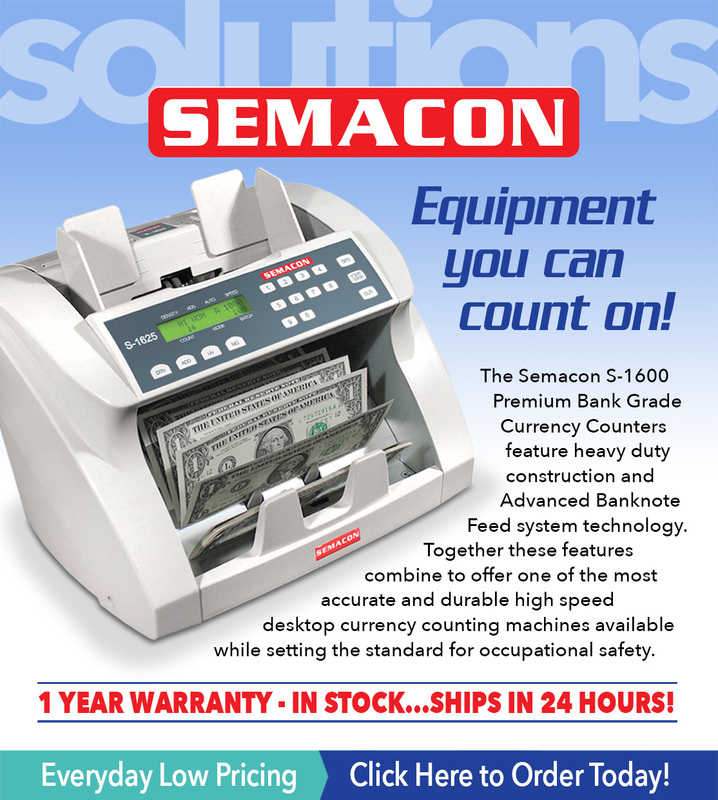 Each Semacon currency counter comes with a standard 1 year warranty. Purchase with confidence!